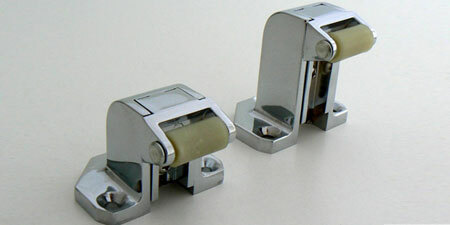 PR110 STRIKES: Strikes are used in combination with Latches and can be bought together or separately. Strikes come in two sizes: Flush and Standard. Flush strikes adjust to accommodate offsets from a distance of Flush- 3/4". Standard Strikes adjust to accommodate offsets from a distance of 3/4"- 2" from the door. To find out which strike you need, visit our "How To Page".